Michael Healy-Rae will represent the famous Healy-Rae political family when he runs as an independent candidate in Kerry South. His father, Jackie, has been a deputy in Dáil Eireann since 1997, during which time Michael worked as his consitutency secretary. For his part, Healy-Rae Jnr has been a member of Kerry County Council since 1999 when he was first elected by the Killorglan electoral area. This is his first general election campaign. 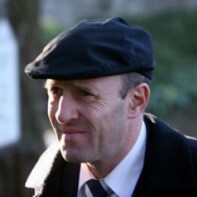 Healy-Rae is a food enthusiast, and appeared on an episode of RTE's reality television series 'The Restaurant' in 2008.